To meet this challenge, Rotork Gears has introduced the SPI Smart Position Indicator, designed to provide a vastly improved, more robust, reliable and accurate solution compared with previously available equipment. This innovative solution has led a Spanish end user to place an order for approximately 900 units. With an SPI installed, the control centre is able to monitor any of the valves in the refinery, so operational control is more accurate. In addition to chemical and petrochemical plants, typical areas of application for the SPI include power stations, public infrastructures, airports and fire hydrant systems. 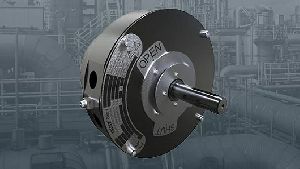 The Rotork worldwide network of offices and representatives provides a local source for sales, service and support for the SPI and all Rotork Gears products. Find out more about Smart Position Indicators.